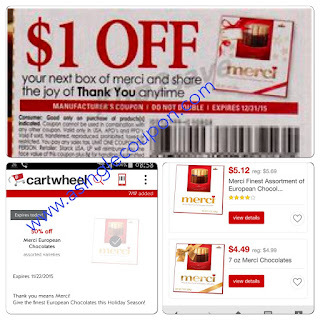 Target: Fantastic Deal On Merci Chocolates! Today ONLY!! I do love these! 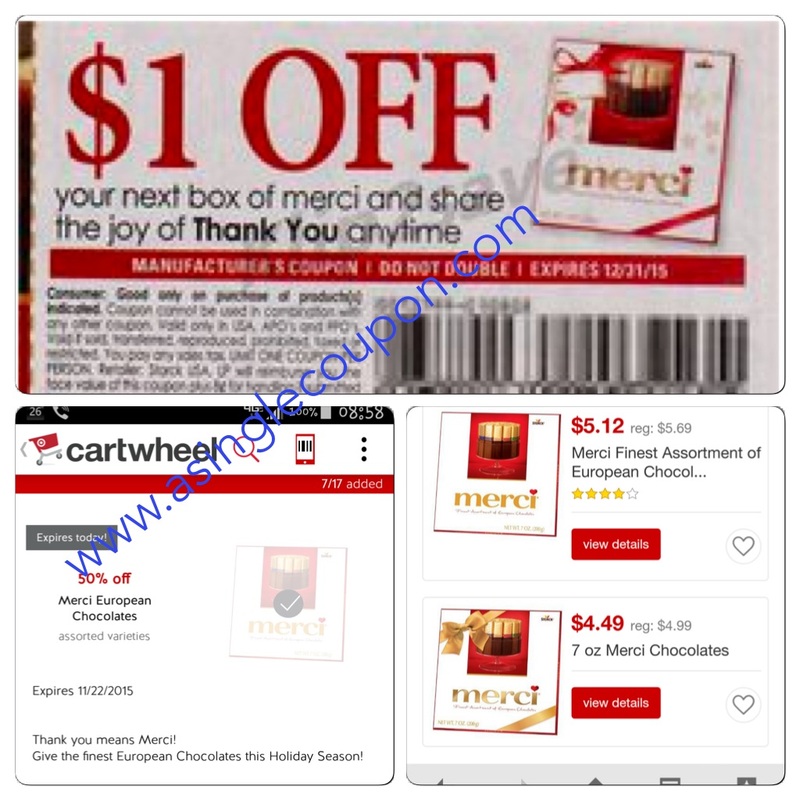 Remember, check the fine print on the cartwheel app, but if you are looking to do this more than once, then you will have to split up your transactions! Thank's to Priti Shah (my sister in law!) on this great deal!